I have tried my hands on a couple of things, such as Fiverr, Affiliate marketing and the some PPC programmes but have not had the opportunity to write about it due to my acute laziness these days. I beg for your forgiveness though. Now the hammer of critism is on Konga Affliate programme. I should have talked about the unfair practices of the Konga Affliate programme but i had to give them sometime to figure out what the heck was going on with their system after i had reported the case to the affiliate team. Before now, i had been an addict in the Konga affiliate marketing programme, taking full advantage of the traffic i receive from my other blog to drive massive sales to them.I was messed up when Konga showed me the other part of the jungle when my affiliate earnings were not reflecting as usual. I am a large fan of Konga.com and that is why i have stipulated these facts to buttress my points. I remember the month i made over N30,000 (Thirty thousand Naira) and some fractions from the Konga affiliate programme. To me it was fun and i had never imagine the possibility of having such an encouraging return from a Nigerian owned ecommerce website after receiving so much criticism from +Ebenezer Obasi that Nigerian affiliates actually do not make much sense. Yes i knew there was a problem with most of the companies not keeping up to their part, but at the same time, i knew Konga is a registered reputable company and these drew up the conclusion of no doubt from the affiliate programme. I had waited all through the month to see my pending balance drift into my approved earnings. Yes i did waited patiently but only to receive the email that all the orders made including the ones i personally ordered and paid for has been declined. I almost vented my anger on their official twitter handle but got hold of myself because of the respect i had developed for the company.At this point, i believed there was something wrong somehow and somewhere. I will accept the fact that i had lost the commissions from other sales; but what about the my own order which i received and paid for? what happened to the commission? was i robbed of my right? Konga.com has answers to that. Though i am still a regular affiliate user of Konga.com, that does not change the fact that these shortcomings from their end has gradually defaced the authenticity of the affiliate programme before me. I thought i should share my rant. Use the comment box below to talk about your experience with them. Have you been in this kind of mess before? 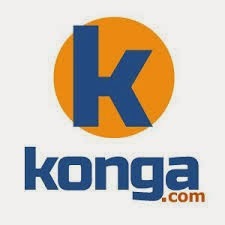 Very sad to know about our loss on konga.com, I didn't tried it but you must contact their support. Ohh I was about to join them, thanks for the honest review mate.